Just two things determine your investment return after buying a stock. The first is how the company's fundamental earning power changes during the time you own it - have profits gone up, has it improved its competitive position, or become more efficient etc. In particular, changes in earnings per share and free cash flow per share affect investment returns because they're a reasonable proxy for how much cash can be taken out of the business as dividends or reinvested. The other factor that determines your investment return is of the touchy-feely variety - investor sentiment, which is reflected in a stock's price-earnings multiple. When investors are exuberant about a company's prospects, they pay a high multiple of today's earnings, as in the case of Cochlear or Amazon. And when they think profits will fall over time, they tend to pay a low multiple. In addition, price-earnings ratios tend to move in the opposite direction to interest rates - when the rate on Government bonds goes down, people are more willing to buy stocks and so share prices rise. That's it. Only two things determine returns: a company's earning power and the multiple investors are willing to pay for those earnings. But here's the thing: earnings have the ability to compound and grow. When a company retains profits, they can be used to build factories or buy competitors, which adds to next year's earnings. Companies also have a tailwind from population growth and productivity improvements in the economy. In aggregate and over the long term, corporate profits tend to move up alongside GDP growth. Investor sentiment, on the other hand, can change wildly from one period to the next, but it doesn't compound. Over the past 100 years, the US market's average price-earnings ratio has been as low as 5 and as high as 35, but 90% of the time it was within a range of 10 to 25 - either way, it's not a huge difference in 100 years. US corporate profits compounded at around 3%, thereby rising almost 20-for-1 - and that's after adjusting for inflation. That's good news for buy and hold investors because a company's long-term earning power is something you can analyse and make conservative predictions about, whereas forecasting investor sentiment a year from now, let alone decades down the track, is impossible. If there's any reason supporting a buy and hold strategy, it's that compounding works in your favour by diluting the effect of the market's 'animal spirits' on your return. There are other advantages, too. A US study of 66,000 investors found that the higher a portfolio's turnover, the lower the average return. Those who traded the most lagged the overall market's performance by 7%. For anyone who shuns a buy and hold philosophy, brokerage fees and taxes quickly bite into their returns. And, like a company's earnings, these 'frictional costs' compound - a seemingly trivial 1% additional cost each year would reduce your portfolio's final value by a quarter over the course of 30 years. Frictional costs aren't the whole story, however. The study found that high turnover correlated with underperformance in both taxable and tax-deferred accounts. The researchers suggest another culprit: overconfidence. Our confidence in our predictions is generally higher than their accuracy. 'Overconfident investors will overestimate the value of their private information, causing them to trade too actively,' the authors suggest. Overconfidence can cause you to buy and sell at the wrong time; mistakes and frictional costs then pile up. The fewer investing decisions you have to make, the better, so it's worth considering a 'never sell' list. None of this is to say you should sit motionless and refuse to sell a stock if your investment case has changed or you find an even more undervalued opportunity. And that's doubly true for low-quality companies, where time usually works against you. However, when you consider the advantages a buy and hold philosophy brings, it's a good idea to think it over for a few days to avoid making rash decisions. As Benjamin Graham said, 'In the short run the market is a voting machine but in the long run it's a weighing machine.' 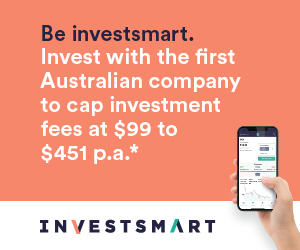 Our own experience weaves a similar tale: we've made more than 500 Buy recommendations since 2001, with average outperformance of 5.2% a year relative to the ASX 200 (see our audited 2018 performance report). That result wasn't achieved by rapidly churning our portfolio but rather sticking with our best ideas for years. In several cases, our holding time has been more than a decade.